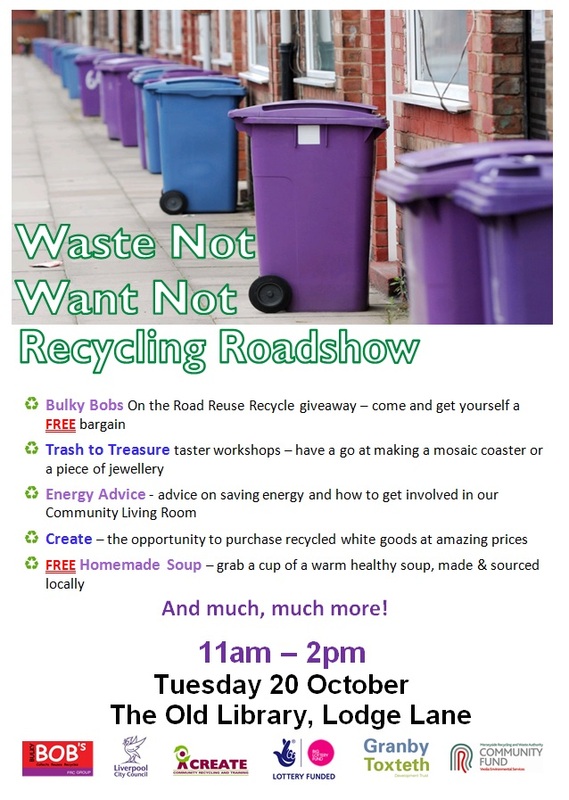 It's that time of year again....time for our fabulous Waste Not, Want Not Recycling Roadshow. We've got freebies to give away, amazing bargains from Bulky Bobs and Create, have-a-go workshops and lovely homemade soup! So why not, spend Tuesday 11am - 2pm with us at the Old Library on Lodge Lane?